As a child she came to France and became a pupil of Rose Caron in Paris. 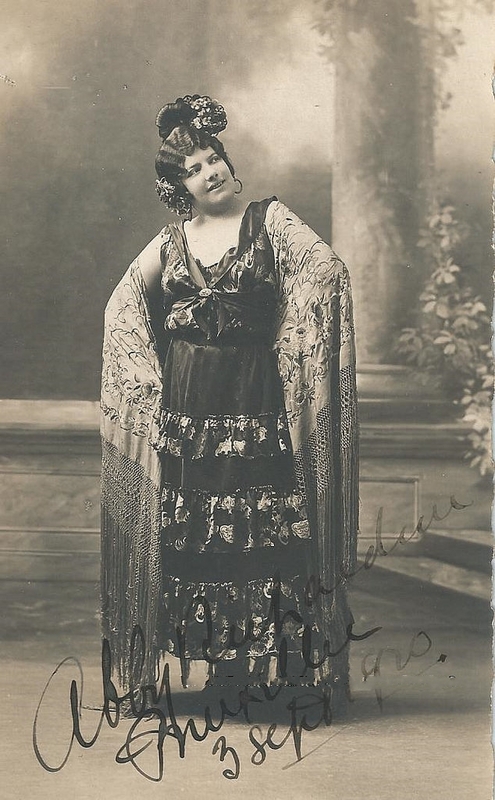 In 1910 she made her debut in Nantes, in 1911 she created the role of Rosalia in the French premiere of d'Albert's "Tiefland" at the Nice Opera. She married the director of this opera house Pierre Chereau. For three seasons, the artist was engaged at the Théâtre de la Monnaie in Brussels. She often gave guest appearances at the Opéra-Comique in Paris, at the Opéra de Monte-Carlo, at the Teatro Liceo of Barcelona and at French Provincial theaters. In 1938 she sang the part of Geneviève in ‘’Pelléas et Mélisande’’ at Vichy Casino. Later she led an opera class at the Conservatoire Rachmaninoff in Paris. She made a few recordings for Columbia.